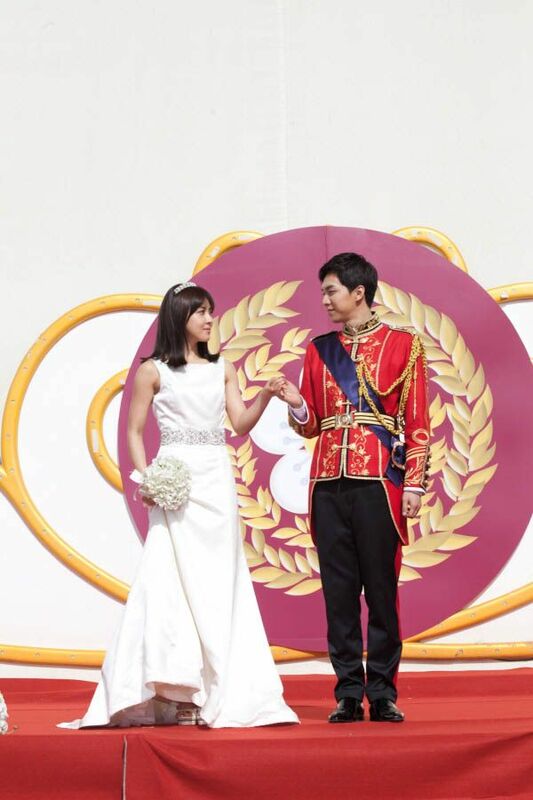 Lee Seung Gi and Ha Ji Won held the large-scale “engagement ceremony of the century”, stirring heated discussion. 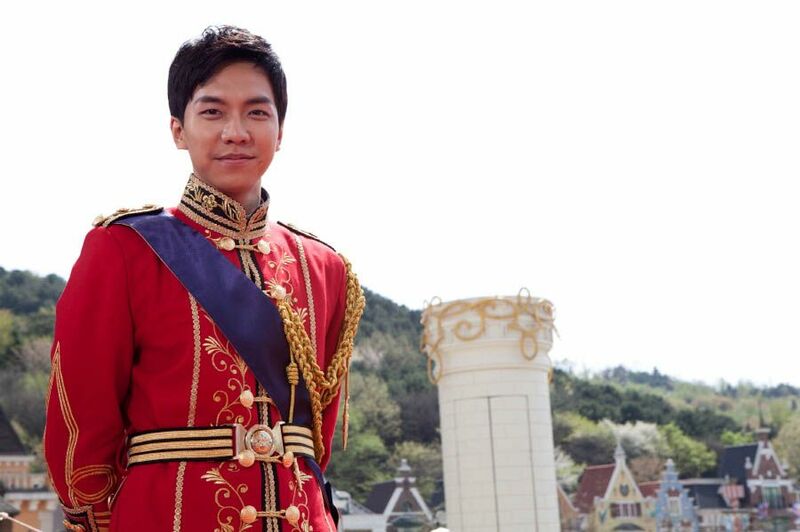 In episode 15 of MBC drama “The King 2 Hearts” to air on April 9th, 2012, Lee Seung Gi will appear as elegant “bridegroom,” staging a fantastic engagement ceremony. In particular, the pure while gown with artistic conception and red dignified dressing of the king, revealing the look of happiness, attracting people’s attention. 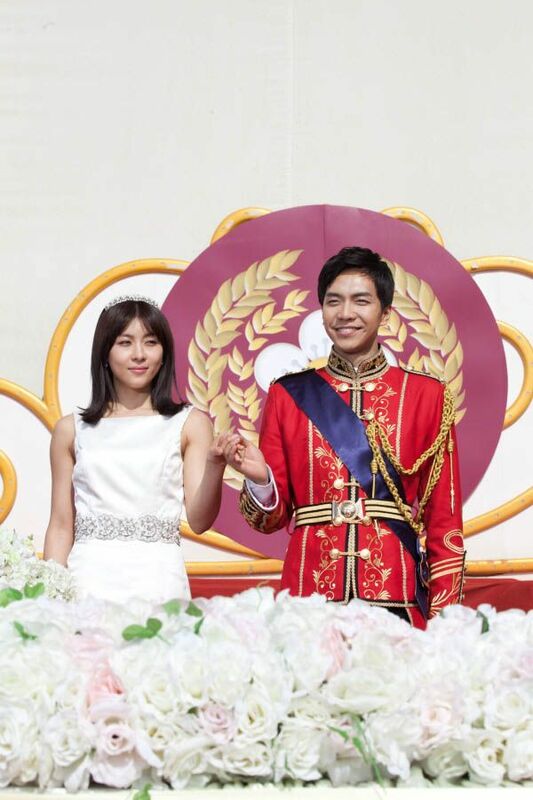 The engagement ceremony of the two is the moment when the real dignity of South Korean royal family is born, indicating that the sense of anticipation is intensifying. 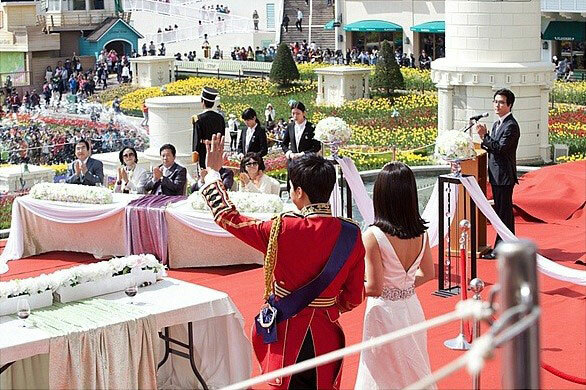 The scene of beautiful engagement ceremony staged by Lee Seung Gi and Ha Ji Wwon was shot on April 27th, 2012 at the Everland Amusement Park in Yongin City, Gyeonggi Province. 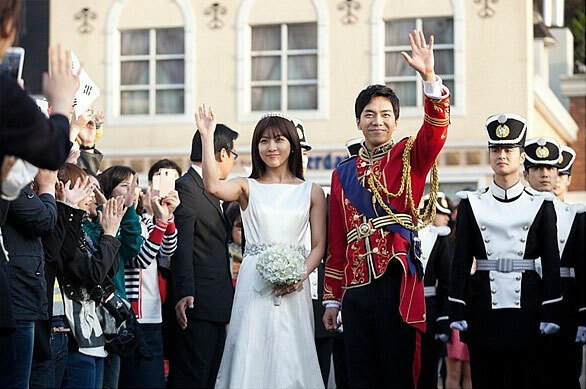 In the filming lasting 10 hours from 9am, the influx of tourists who wanted to see Lee Seung Gi and Ha Ji Won kept increasing, the crowd increased exponentially. 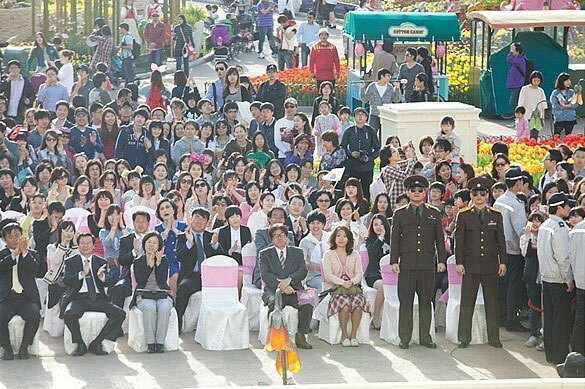 In the drama, the congratulatory for South Korean royal family’s engagement ceremony has the setting of national celebration atmosphere, so with many visitors, the scene was portrayed even more vividly. 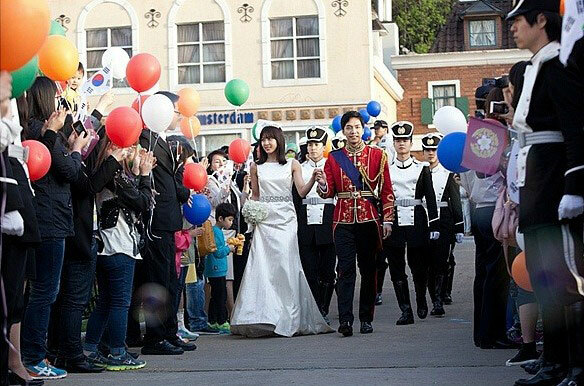 Moreover, the engagement ceremony of Lee Seung Gi and Ha Ji Won was held with happiness and warm spring sun in the outdoor with the blue sky as the background, and therefore shines even more. 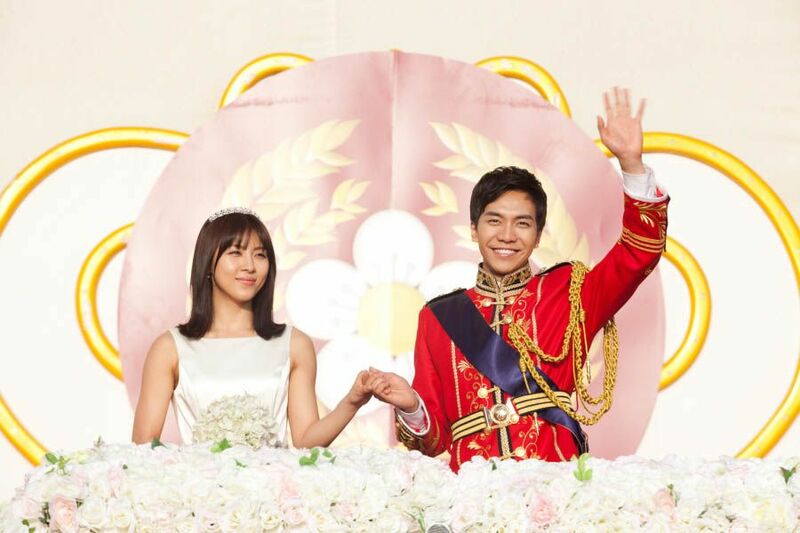 Lee Seung Gi and Ha Ji Won constantly kept relaxing smile in the long shooting with large crowd, completing the filming with the expression of the world’s happiest couple.